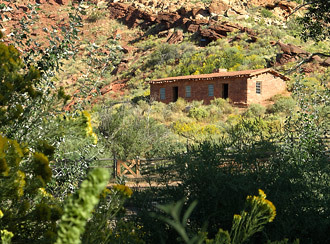 Looking for an off-the-beaten-track, culture-laden adventure in Arizona? You’ll find that and more at Pipe Spring National Monument! Drive as far north as possible in Arizona, then turn left. Pipe Spring National Monument is located on the northern edge of the Arizona Strip, that northwest portion of Arizona separated from the rest of the state by the Grand Canyon. Water is a precious resource in this high desert region, and Pipe Spring is often referred to as an oasis in the desert. Its waters have supported plants, animals, and people for thousands of years. Pipe Spring National Monument tells the stories of the many cultures who have used or claimed this water, including Ancestral Puebloans and Kaibab Paiute Indians, Mormon pioneers, and the federal government. 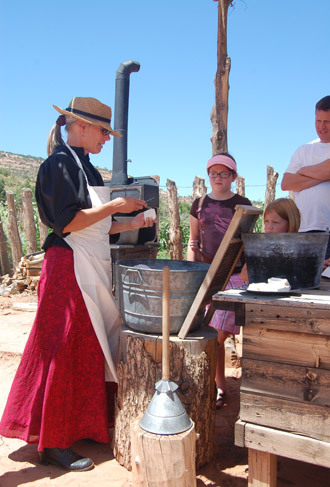 Start your adventure at the Pipe Spring National Monument-Kaibab Band of Paiute Indians Visitor Center and Museum. A first of its kind partnership between the National Park Service and an American Indian tribe, this joint facility explores the history and culture of the Kaibab Paiute, the Mormon pioneer ranching settlement, and the National Park Service's role at this site. The museum exhibits, the 25-minute movie “Encounter on the High Desert,” and an interactive computer program add amazing detail to your visit. 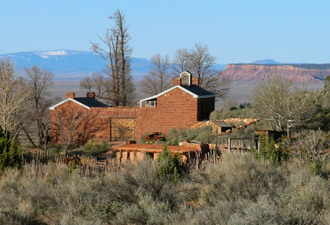 A short walk onto the monument grounds takes you back in time to the Mormon pioneer ranching period. You can take a guided tour of historic Winsor Castle, a fort built over the spring in 1870 that became the headquarters for a large tithing ranch. During summer, from May to October, rangers offer daily talks and demonstrations. You might encounter a blacksmith making tools, a ranch hand currying a horse, or a craftsman knapping flint. Feel free to help the ranger weeding the garden or doing laundry the old-fashioned way. Program topics vary from historic Paiute lifeways, to pioneer clothing, to lizard identification. No Pipe Spring adventure is complete without meeting Tess and Whit, the resident longhorn cattle or Princess, the local horse. And don't forget the chickens and ducks. Need a little exercise? Hike the scenic half-mile Ridge Trail for dramatic, expansive views of one of the most sparsely populated regions in the United States. “Weaving a Legacy” is a temporary museum exhibit on display through summer 2012 featuring a variety of Native American weaving tools, materials, and products used through time. Several summer talks and demonstrations will focus on weaving techniques. You can see examples of prehistoric weaving, try your hand at spinning thread with a drop spindle or weaving a rug pioneer style, and listen as rangers “spin yarns” and weave tales about life on the frontier. An extraordinary adventure takes place on May 20, 2012. If you're in the neighborhood, visit Pipe Spring late in the day for a chance to view an annular solar eclipse. From 5:20 to 7:30 pm, Mountain Standard Time, you'll be able to safely track the shadow of the moon across the sun using solar viewing glasses provided at the park. Pipe Spring is located along the central path of the eclipse, so experiencing the ring of fire as the moon covers 95 percent of the sun is guaranteed. Adventure abounds at Pipe Spring National Monument. Plan your visit!